Today my family will celebrate the anniversary of my father’s departure from this life. He passed on four years ago. I’m still so sad he is gone. I visited his final resting place on Father’s Day last year and placed a bunny topiary. Difficult to face his headstone with mother’s name etched without an ending date. 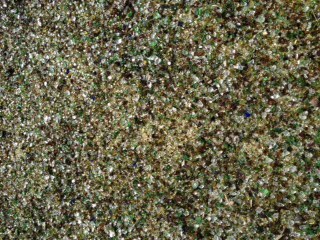 I walked by a bed of broken glass one of my neighbor’s is using as a landscape planter. The glass describes how I feel when I visit my Mom and my Dad is not beside her. We quickly run off and do something fun together, but his absence is always there. It hurts and cuts all over. Sometimes the memories twinkle in the sun and I smile, but most of the time it just painful. Our family motto ” be prepared”. We had everything you might need for any impending disaster…even a generator. He taught us responsibility and structure by modeling it. When I graduated from high school I took a trip with my girlfriends to Lake Geneva. He said “Have a great time” and handed me a map. Our successes and failures were our own. We were never scolded or lavishly rewarded for grades or achievements. In college I had my first really awful grade. Feeling dejected, I visited Mom and Dad to show my report card. He pulled out a report card from his desk (we attended the same university) and we had the same grade. No words exchanged. He smiled and we laughed…no condemnation. No preparation for this. I miss his blue eyes. He hardly ever smiled, but when he did it was powerful and stayed with you. 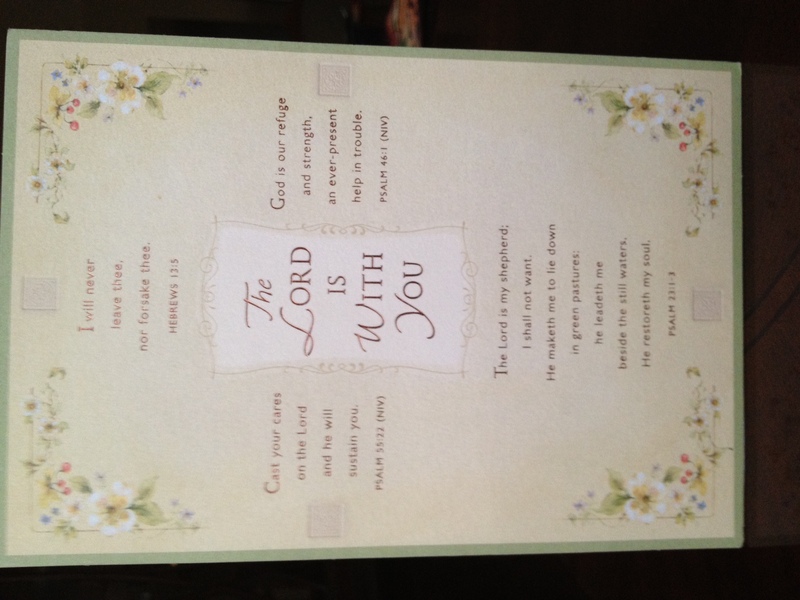 My friend Kim C. sent me a lovely sympathy card. For four years I have kept it on my desk as a great source of comfort. Kim and I watched and waited as his health declined. She cares deeply for others and her great love and prayers sustained me on days I just breathed in Jesus and out Jesus. The Lord is my shepherd, I shall not want. He maketh me to lie dow in green pastures: he leadeth me beside still waters, He restoreth my soul. 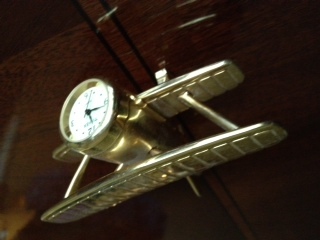 My father loved everything associated with airplanes. He was an engineer and worked on all sorts of projects throughout his lifetime of designing things that fly, one particular helicopter was his favorite and when we went to take a test flight, I was little, I was whining, but understood when my Mom said this was our bread and butter, so enjoy yourself and I did. I gave him this airplane and it just makes me smile when I look at it.